Are you having trouble landing a job, but not sure why? The right skills and an impressive resume may help you get an interview, but there is more to getting hired. Experts will tell you it’s all about whether you present your character, personality, skills and values in a positive and relatable manner — that’s what attracts employers. I don’t really know much about the job; could you tell me about it? Big mistake! Employers expect candidates to research the job before they arrive for an interview. You need to be able to explain confidently why you want the position. If you haven’t researched what the job is about, you may be wasting the employer’s time and your own. It’s okay to ask questions, but not anything you should already know from reading the job post or researching the company. How much vacation time will I get? Nope! 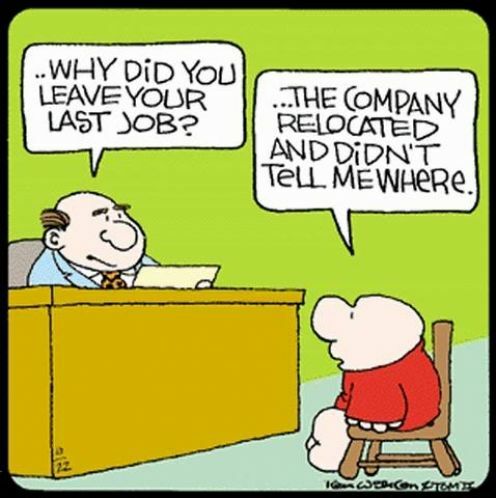 It’s not a good idea to ask any questions during the interview that make it appear your focus is not on working. I really need to take this call. Oh, nay nay! Hiring managers and recruiters are amazed that interviewees actually answer their phones and respond to text messages during face-to-face interviews. Leave your phone in the car, or at least turn it off during an interview, so you are not tempted to answer it. Stop and think for a moment before you say what is on your mind. If you have any doubt it’s something you should or shouldn’t say, play it safe and don’t say it. Wishing you much success in your future employment! It’s surprising (and a little scary) what employers report they hear in interviews. I’ve heard stories where the applicant has said “I don’t really want this job, I just had to show up to keep my unemployment benefits”. There are even absurd circumstances such as a person applying for a commercial window cleaner position told the interviewer he was moving his seat away from the floor to ceiling window in the office because he had an extreme fear of heights. Strange Times….